Editor’s Note: The long-term memory of Hopkins students is six years, and this article is meant as an anecdotal survey rather than a factual account of Hopkins history. Like most high schools, Hopkins is governed by social and academic norms, but these norms evolve over time. According to the Class of 2016, life at Hopkins was much different when they were younger. When some of the Senior Class was asked about their experience as freshmen, they were happy to share their input on how Hopkins has changed, and what should be brought back. One of the most common words heard when talking to the Hopkins seniors was in fact, ‘Seniors’: “The seniors are definitely less respected,” remarked Emma Weiss ’16. “Back [when we were freshmen], they were considered almost holy.” It seems that the younger grades’ respect for the seniors has taken a slightly different path. Seniors thought that when they were freshmen they respected the seniors much more than the way they are being treated now. Some freshmen were asked their opinions in order to see the other side of the argument. “I feel as if I didn’t know the seniors as much in seventh grade,” said Katie Broun ’19. “Now, since I know more seniors, I respect them more and understand that they are just as hardworking and fun to be around as any other grade.” The respect for the seniors increases as the younger grades are more familiar with them; however, there are fewer opportunities for these interactions to happen in the younger grades today. Asked how intergrade relations have changed over the years, Ethan Lester ‘16 observed, “I feel the closeness between grades is more fragmented. People were friendlier with each other between grades when I was a freshman.” The grades were more integrated four or five years ago; therefore, while now the grades are less familiar with each other, they are more enveloped in their own social groups. 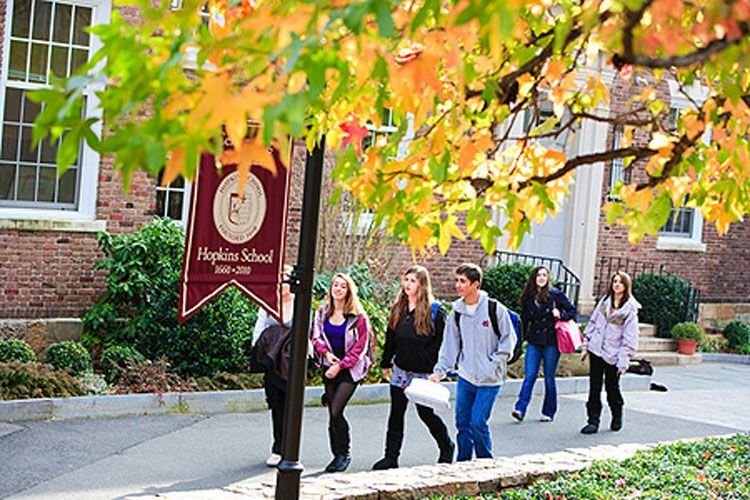 As the world is changing, Hopkins has been affected both socially and academically to form a school that complies to these new standards. Whether it is with race, technology, or sexuality, Hopkins either makes an effort, or naturally has conversations about how it affects the student body as a whole.